Why Do a 30 Day Challenge? I never really intended to start a blog about 30 day challenges. It just sort of…happened. But as I began to implement them into my life, I realized they are actually far more powerful than I had suspected. I have come to believe that 30 day challenges can be one of the most effective ways to make serious positive change in one’s life. In my opinion, they are not talked about nearly enough. I think it’s important to nail down exactly why 30 day challenges are so powerful. In my journey so far, these are the 5 aspects of 30 day challenges that make them such a fantastic life tool. I’ve heard a few different numbers for how many days it takes to establish a new habit or break an existing one. I’ve seen 21, I’ve seen 28, I’ve heard 30, and I recently saw 40. But the thing is, I really can’t buy into the idea that forming a habit takes the same amount of days for every person. We are all so different when it comes to behavior, self-discipline, and motivation that it seems silly to try to assign an arbitrary time-frame to it. Not only that, but maintaining or breaking a habit requires more than just doing it for a set amount of time and then running on autopilot. You still have to put in some effort to keep any habit going. I don’t care if you’ve been smoke-free for 6 years, you are still only one rationalization away from smoking addictively again. What I do know is that 30 days is a solid chunk of time that should, at the very least, set anyone up for success in establishing any habit. It’s enough to give you the true experience of what it’s like to practice this habit in your daily life. It’s enough to give you some serious momentum going forward. It’s enough to reveal the true benefits of implementing any habit. Basically…it’s enough. 30 days isn’t the “exact right amount of time to cement a habit in your brain” but it is enough time. This is actually one of the most well-known sayings in 12 step recovery programs, but it also applies perfectly to 30 day challenges. People in recovery use the “one day at a time” philosophy to anchor their perspective to the present moment. They don’t want to think about not being able to indulge in their addiction for the rest of their lives, that would be incredibly overwhelming. Instead, the idea is to focus on not drinking/using/overeating just for today. It essentially breaks an incredibly difficult lifestyle change into manageable chunks until they can start to fathom a life without it. This is basically one of the main reasons why 30 day challenges are so effective. I’m not quitting sugar forever, I’m quitting it for 30 days. I’m not waking up at the same time for the rest of my life, just for 30 days. Having an end date in mind may seem counterintuitive – if we are trying to establish healthy habits don’t we want to do them for more than 30 days? Well…yes. But the end date is not so much about the actual end of the challenge, it’s about the beginning. When we’re first implementing a new habit or breaking an old one, it’s challenging. Your conditioned brain is constantly telling you to give up. Depending on the challenge, your physical body may be experiencing difficulties adjusting. You’re simply not comfortable. But having an end date is essentially a release valve for the discomfort you’re experiencing. Knowing that the discomfort will end in a certain amount of days is often all it takes to keep you going through the hard times. And the discomfort will end, but because your body adjusted rather than because you reached the end date. I liken it to the feeling you get toward the end of an intense workout or a very involved project. When the end is in plain sight, it’s much easier to put aside the discomfort and finish strong. There is something supremely satisfying about marking things off. Whether it be to-do lists, countdowns, or 30 day challenge calendars, it’s just an exciting and satisfying action. It’s proof of your progress. It’s validation that you are on the right track. 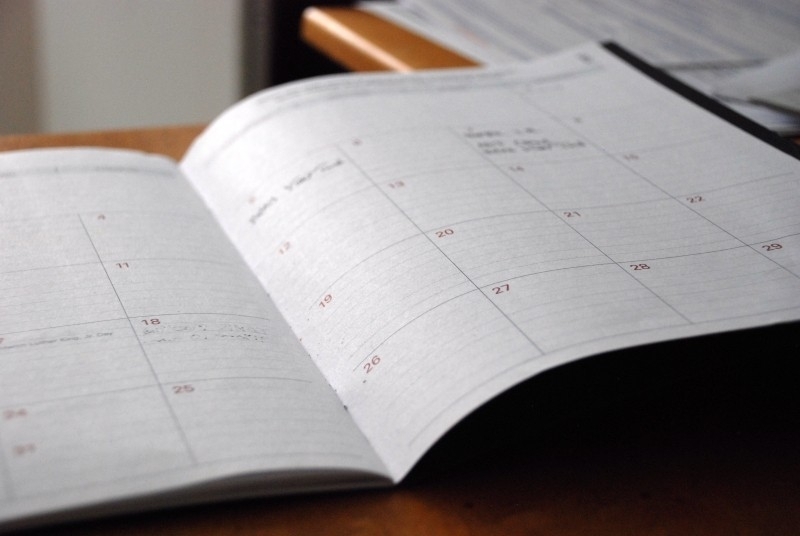 Especially in the beginning of a challenge, the thought of wanting to cross off the next date on your calendar is sometimes the only thing keeping you going. There is actually an entire sub-culture of people who use “X’s” (crossing off boxes each day) to develop and maintain habits. The phenomenon is called the “X Effect”. There is even an entire subreddit devoted to it, full of people who are using it to implement all manner of habits into their daily lives. Gamification may sound like some complex process related to radioactivity, but it’s actually way more fun than that. Gamification is really just the idea of turning processes that aren’t games into games in order to improve them. While traditionally a marketing concept used to increase user engagement on websites and apps, it can be applied to literally anything. FitBit and other wearable devices are so successful because they turn exercise into a fun game. You try to get as many steps as possible, you try to beat your friends, etc. Mint and Personal Capital (personal finance apps) are so successful because they gamify your interaction with your expenses and budget. There are countless examples of using gamification to improve interaction and success of initiatives. If you really want to get inspired, check out this article about 10 inspiring cases of social gamification that helped improve our world. 30 day challenges turn implementing new habits into a game. It may not seem like a game in the traditional sense (who thinks making uncomfortable changes is fun? ), but it is a game of sorts. Think about it like this: We are all in the video game of life. This particular level is 30 days long. We are competing not just against ourselves and our conditioned behaviors, but against those 30 empty boxes on the calendar. Each day, we put a little dent into the calendar. Each day we see improvements in our lives as a result of it. We get stronger, we put more dents into the calendar. Before you know it, you have completed the level. 30 boxes checked off. And you know what? That is a hell of a lot more exciting than beating any other kind of game. I am fiercely competitive. For me, a 3 on 3 pickup basketball game can begin to seem like a battle to the death that I can’t afford to lose. I like that about myself (most days) but I realize not everyone is as competitive as I am. However, all humans have at least some competitiveness in their makeup. While being competitive often refers to relationships with other humans, I believe that we can also be competitive with ourselves. Not only that, but being competitive with ourselves is one of the best ways to achieve success in life. I believe 30 day challenges tap directly into this. They force us to challenge ourselves fully, to grow as a person and then compare that growth to the self we were 30 days ago. I believe this type of comparison (how I am now versus how I was yesterday) is the only comparison worth doing in life. These challenges spark our competitive fire. But instead of leading us to unhealthy comparisons with others, they lead to healthy comparisons of our own selves that can lead to extreme growth. 30 day challenges are rad. I firmly believe that you can make positive, lasting change in your life simply through completing a succession of 30 day challenges. So what are you waiting for? Pick something and do it for 30 days. Make adjustments to your lifestyle to make this new habit easier. Print off a calendar. Start marking days off. You’ll be amazed at how quickly you see improvements in your life. Thanks for sharing your 30 Day Challenge ideas. Your thoughts stir other ideas for all of us.